Johnny Bobbitt Jr. will get his $400,000. GoFundMe and Cozen O'Connor, the Philadelphia law firm representing Bobbitt, announced Thursday evening in a joint statement that he will receive an amount equal to the balance of the funds he did not get from the online fund-raiser set up for him in November. The campaign was established to aid the homeless man whose story of helping a stranded motorist in Philadelphia inspired thousands of people to contribute. What happened to the actual donations is now under a criminal investigation made public in dramatic fashion Thursday when police executed a search warrant at the Burlington County home of Kate McClure and Mark D'Amico. 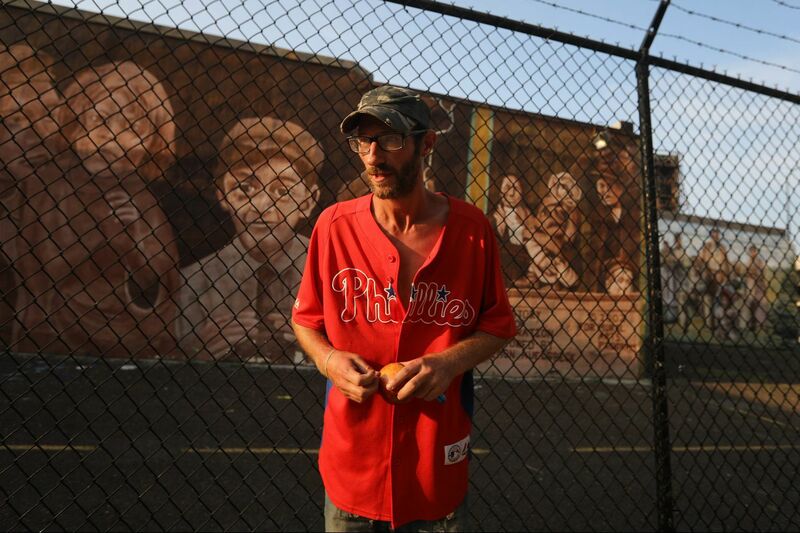 They launched the online plea for Bobbitt, a 35-year-old North Carolina native living under an I-95 ramp, who spent his last $20 to help McClure when she ran out of gas in Kensington late one night last fall. "Johnny will be made whole, and we're committing that he'll get the balance of the funds that he has not yet received or benefited from. GoFundMe's goal has always been to ensure Johnny gets [the] support he deserves," said the statement, which was sent to reporters by Bobby Whithorne, director of North America communications for GoFundMe. "We'll continue to assist with the ongoing law enforcement investigation," the statement continued. Lawyers for Bobbitt and the couple have disagreed on how much of the $400,000 that was raised has already been spent on Bobbitt's behalf. Bobbitt's legal team maintains that he was given a total of about $75,000. The couple's lawyer, Ernest E. Badway, has said Bobbitt got $200,000 total. This week, Badway disclosed that none of the money remains. Earlier in the day, GoFundMe announced it was taking steps to make it easier for donors to the Bobbitt campaign to get their money back. However, it was unclear Thursday night how the company's pledge to make Bobbitt "whole" would affect the process. Whithorne said the crowdfunding platform, which has reported raising more than $5 billion from roughly 50 million donors since it was founded in 2010, was waiving part of its refund policy that would have prevented Bobbitt's donors from requesting reimbursements. >> READ MORE: Why do GoFundMe campaigns like the one for Johnny Bobbitt go viral? GoFundMe refunds individual contributions up to $1,000 if it determines that donations were misused, according to the company's guarantee policy. But typically, donors must submit claims within 30 days of donating. The campaign benefiting Bobbitt — which raised more than $400,000 from roughly 14,000 people — began accepting donations nearly 10 months ago. Whithorne said the 30-day policy will not apply to Bobbitt's donors. "This is an extremely rare situation, and we are working with law enforcement officials to get Johnny the money raised on his behalf, which means the 30-day policy does not apply in this case," Whithorne said in a statement issued earlier Thursday. The 30-day window to file a claim is restrictive, said Daniel Borochoff, president of the watchdog group CharityWatch. "Typically, you wouldn't even know the money was misspent, because there wouldn't be all of this reporting," he said. The Bobbitt case is an example of why donors are better off contributing to nonprofits that are subject to regulations and financial reporting requirements, he said. "GoFundMe is a business," Borochoff said. "Their biggest concern is not overseeing the legitimacy of all of these campaigns they're conducting, so there's very little in the way of regulations. It's easy pickings for a scammer." There are other limitations in GoFundMe's guarantee policy. Rather than offering refunds, GoFundMe may redirect donations to the intended beneficiary, or provide refunds in the form of credits redeemable for donations to other campaigns, according to the policy. Victims are more likely to get compensated if criminal charges are filed, said Stephen Stigall, a partner at the Philadelphia-based law firm Ballard Spahr LLP. "If the government can establish that your intent was to dupe people to provide you money, then that certainly is a crime," Stigall said, listing wire fraud and theft by deception as possible charges. "If there were charges and then a conviction, usually … there is a mandatory restitution that goes along with that." GoFundMe's terms and conditions also include an arbitration clause, meaning users are largely required to resolve disputes with the platform out of court. And the service agreement makes it clear that GoFundMe does not guarantee donations will be used for fund-raising purposes. "All donations are at your own risk," the service agreement states. "It is your responsibility to understand how your money will be used." GoFundMe allows users to raise money to pay for a variety of causes and expenses, from medical bills to college tuition. Users create campaign web pages that include personal stories, photos, and fund-raising goals. The campaign pages can be shared on social media and donors can make contributions on GoFundMe's website. Campaign organizers can then withdraw donations by wire transfer or check. GoFundMe charges a 2.9 percent payment processing fee plus 30 cents per donation to cover "the cost of third-party card processors and the safe and secure transfer of funds," Whithorne said. He said the company no longer charges a separate "platform fee" as of December. When they established the GoFundMe campaign, D'Amico, 39, and McClure, 28, told donors they would use the money to buy him a home and set up two trusts to ensure his financial future. The trusts were never established, D'Amico said. Instead, the money was put in their savings account. GoFundMe has given $20,000 to a bank account created by Bobbitt’s legal team to provide assistance during the investigation.